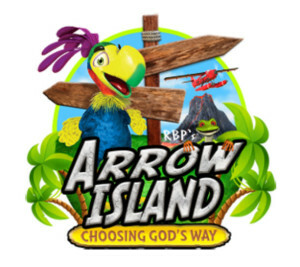 Our VBS theme this year is Arrow Island: Choosing God’s Way! The lessons throughout the week will equip vacation bible schoolers with knowledge to choose God’s way in every detail of their lives. Vacation Bible School runs from July 21-24 at the church and will include biblical lessons, crafts, games and tons of fun! On Friday July 24, the church will hold a movie night on the church lawn and on Saturday July 25, the week will conclude with our annual church picnic. VBS students and their families are encouraged to join us for both the movie on the lawn and the church picnic. Students ages 5-13 are welcome to attend Vacation Bible School. Registration forms are available at the church.